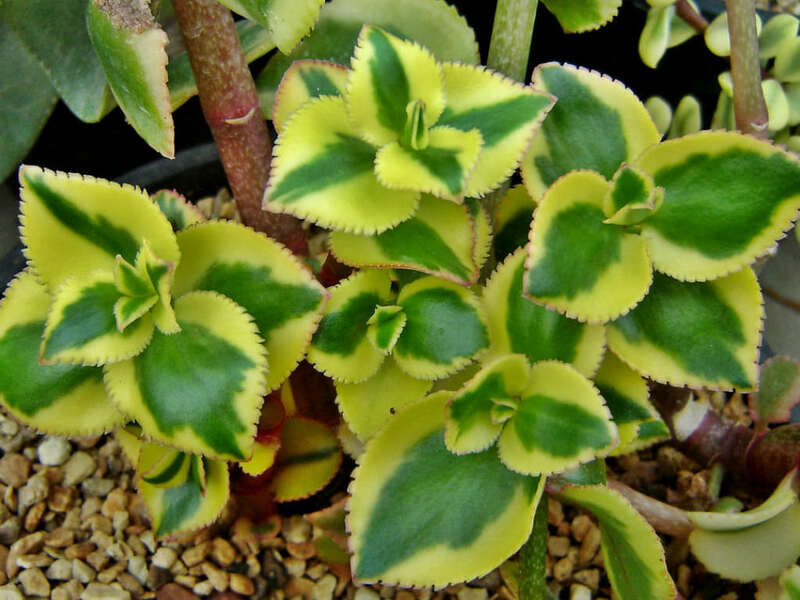 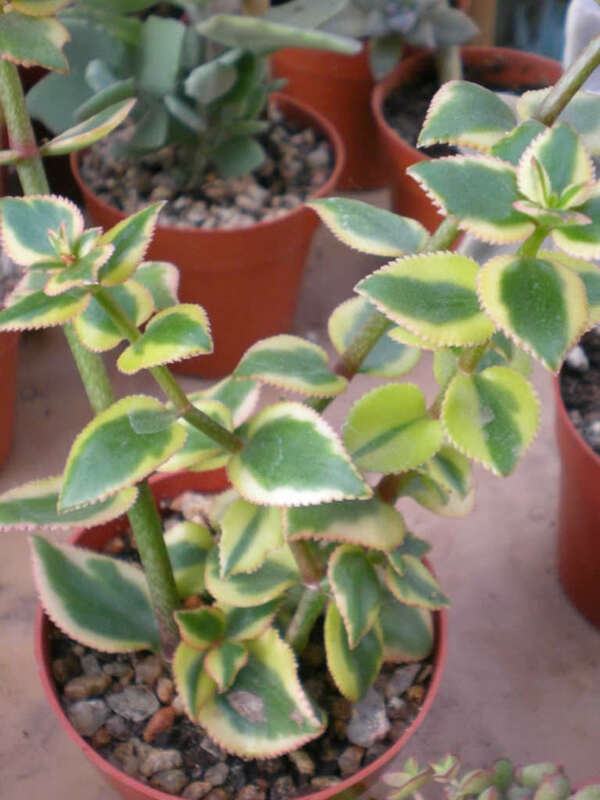 Crassula sarmentosa ‘Comet’ is a scrambling succulent plant that grows up to 1 foot (30 cm) tall and branches sparingly from the base with 3 foot (90 cm) long reddish stems that arches outwards and upwards or trail down. 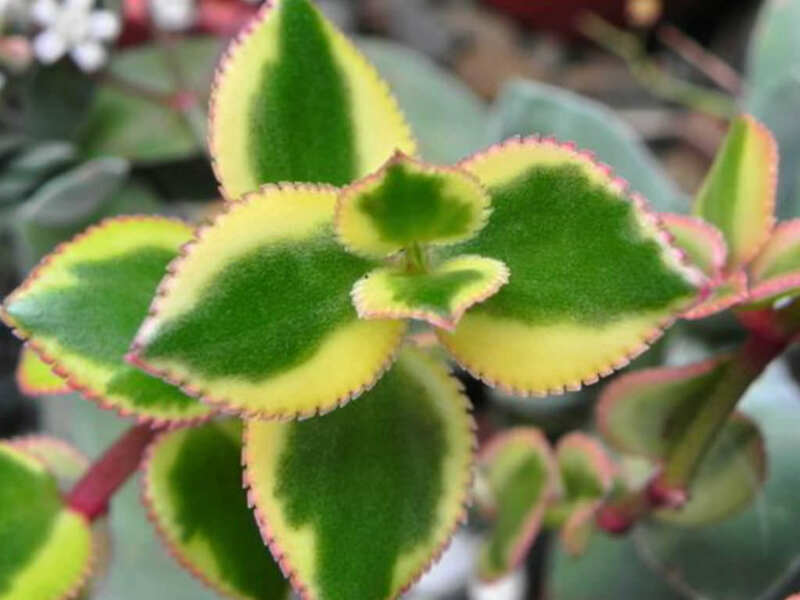 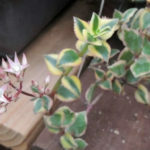 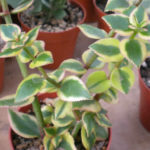 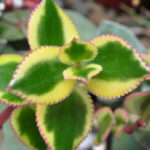 The stems bear up to 1 inch (2.5 cm) long ovate mid-green colored leaves that have finely serrated cream colored margins – the leaves have brighter green color with red highlights along the white margins when grown in full sun. 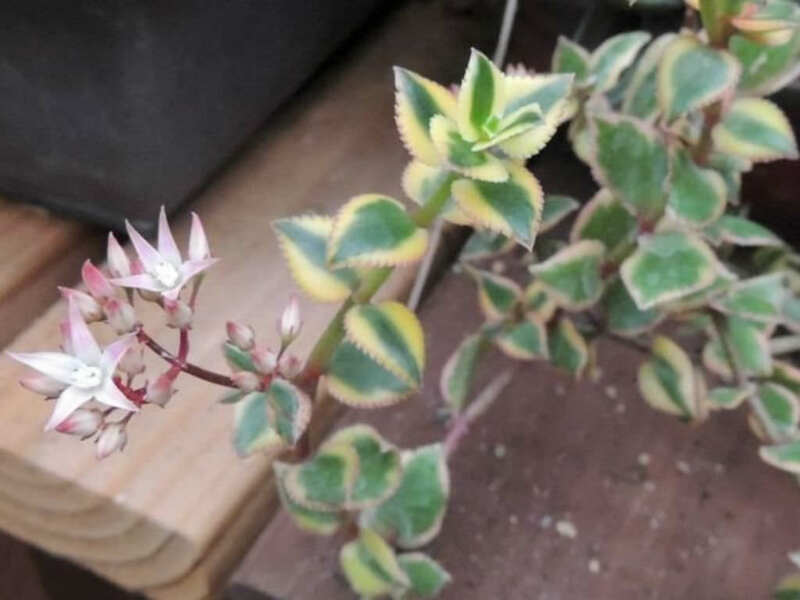 Terminal rounded compact panicles of pink buds open to pure white flowers in late fall.